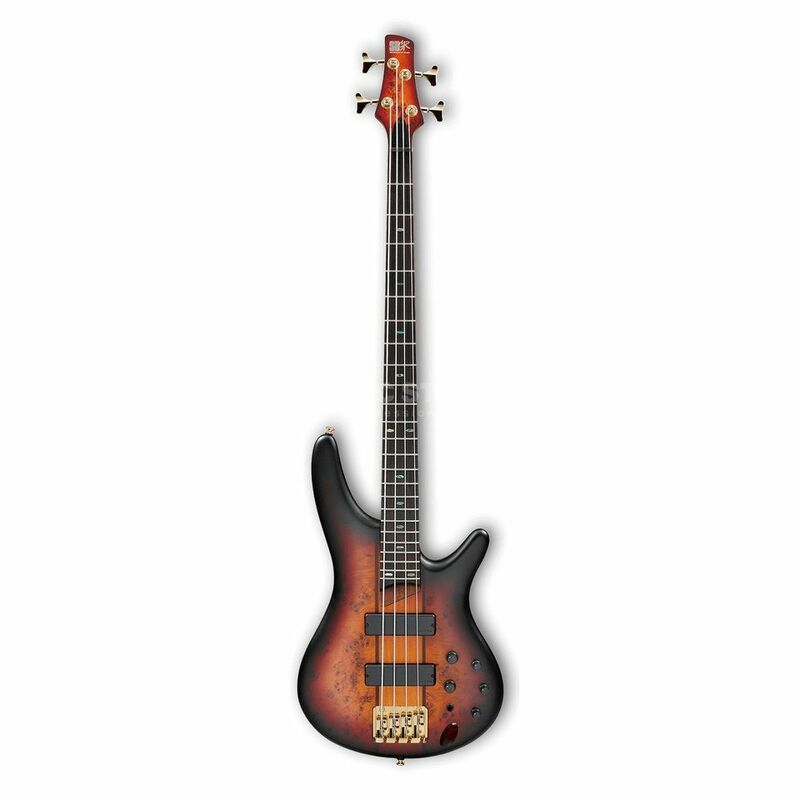 The Ibanez Standard SR800-AWT Aged Whiskey Burst Flat is a four-string bass guitar built to excite through its smooth, fast neck and lightweight body, equipped with perfectly matched electronics. The SR4 neck is crafted from Jatoba with Bubinga to make it strong and stable despite its thinness. An extended neck joint creates a unique look, so you can utilise the higher frets easier. The Accu-cast B300 Bridge affords a precise intonation and delivers string-to-body vibration conductively. Equipped with Bartolini MK1 split-coil-designed pickups, this guitar provides a very wide frequency range and enhanced definition for maximum accuracy. Each of the pickups offer an equal response without any hum or noise. Additionally, this bass comes with a Custom Electronics 3-band EQ with mid frequency switch to offer tonal variations that enhance simple chord work as well as complex soloing.